If your home is in a temperate or tropical location, which is not subject to frost, and you have good quality drinking water, then the GTD Series 2 system is ideal. 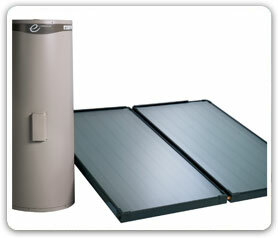 This ground mounted Solar Hot Water System transfers the suns energy directly into the water through the solar collectors. The hot water is then automatically transferred from the collectors to the storage tank, this process continues while the sun is shining, giving you free hot water from the sun. The new modern design of the GTD Series 2 will add value to any home.